The staff is courteous and professional. Dr. Podesta is the same as well as down to earth. He answers all questions and explains things in detail. There was enough time scheduled that you don't feel rushed. Bluetail always finds a way to meet my needs as a patient- whether it is a last minute appointment request or a pleasant visit. I always feel like a person with this staff, never a patient number! All of my questions were answered in a friendly manner. Dr Wolf continues to provide caring & compassionate medical service & advice! The staff was great! I felt like everyone really cared and took a personalized interest in my well being. The staff was very helpful and pleasant. Dr Crane explained various options for treatment for my issue. I feel confident that I will benefit by being under his care. I am so happy I decided to have treatment at Bluetail instead of a standard knee replacement. The results are fantastic - my knees are better than they were 20 years ago, yet I didn't miss weeks of work. I honestly had very little pain. Dr. Oliver and her entire staff are great. Kind, considerate, knowledgeable, and answered every question I had. I have recommended them to several co-workers, friends, & family members. 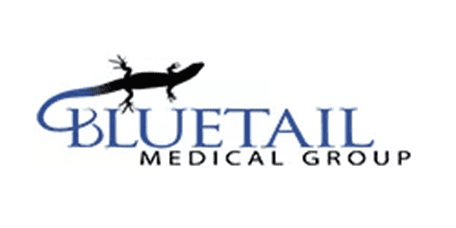 Bluetail medical group is very thorough and patient I have used Dr.Crane for several procedures he’s fantastic!! Christine Schroeder his physicians assistant is great also. I highly recommend them. I had an EXCELLENT out come, I couldn’t have asked for a better one. I have referred several people to Dr. Crane and they also had a great experience. I can’t say enough of how wonderful Dr Crane is, he has given me my life back! Just excellent from beginning to end. Dr Oliver is not only an expert clinician but she also has an outstanding bedside manner. Her staff is also top notch. Dr Podesta always is prompt with his appointments and excellent in his treatment. He is a wonderful doctor who has successfully helped me with multiple injuries! It's hard to quantify a 5- star until you see the final results. But, based on the professionalism and commitment of the people during the visit, it was exceptional! I really can't say enough good things about Dr. Oliver and her staff. They were very professional and compassionate. And now to feel this good after so many years of having neck pain is amazing. My lower back and neck feel so much better. It really is a much better option than surgery and I'm so thankful I chose Stem Cell Therapy!! Thank you again, Dr Oliver and staff! I had been told that this would be a very painful process. It did not turn out to that way. I am two days out from my procedure, and I am having minimal discomfort. Dr. Oliver is very personable and caring, as well as being quite knowledgeable. I wouldn’t hesitate to recommend dr. Oliver and the Bluetail staff to anyone having chronic pain. Good experience at Bluetail with Dr. Oliver and her nurse.